THEIR STORY BEGINS WITH WOOL. Strong & beautiful. The backbone of the economy for centuries. 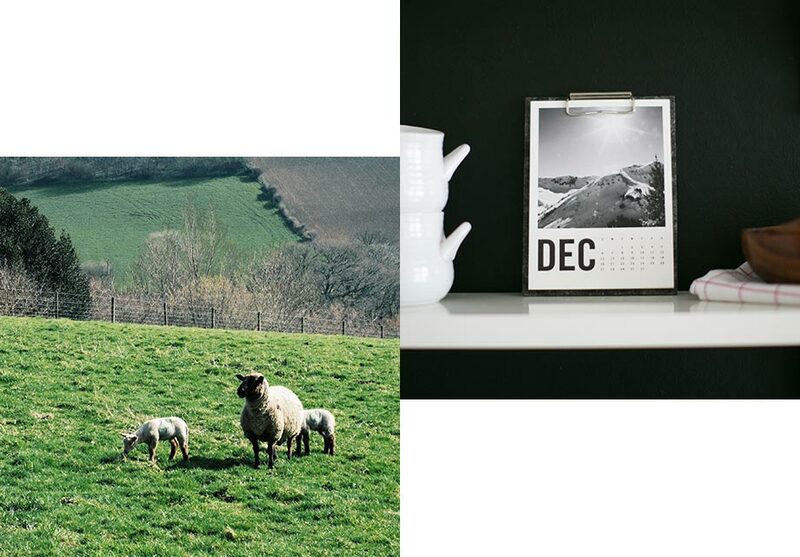 An industry centered in Buckfastleigh, England - the hometown to Hannah & Justin Floyd. Once a thriving center of the British woolen industry, their small market town had grown quiet as manufacturing left - taking the heart of the town with it. THEIR TOWN IS THEIR INSPIRATION. WOOL IS THEIR KEY INGREDIENT. Like most great business ideas, Justin & Hannah Floyd created Solidwool as a solution to an industry with a problem. With the decline of the wool industry, the local carpet factory had closed and sheep farmers in the area no longer had a viable outlet for low grade wool - that would otherwise have to be burnt. 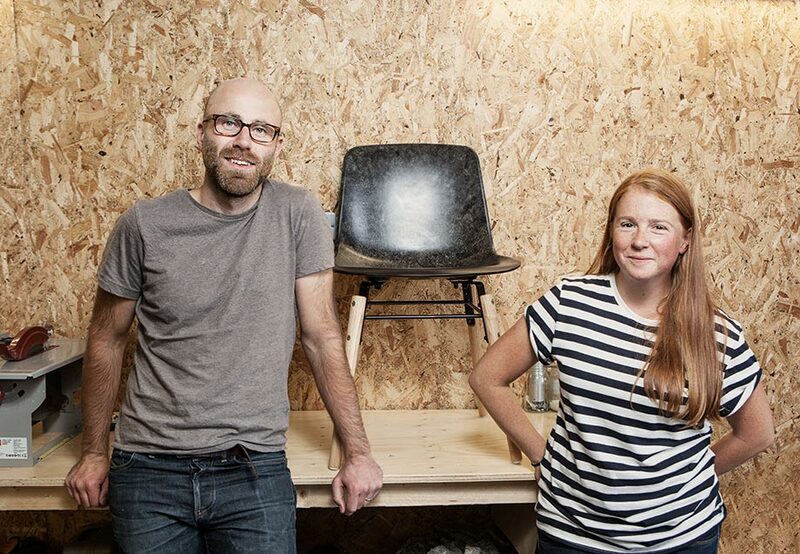 Hannah & Justin sought to find a new way to work with wool - creating jobs and beautiful, soulful products. And so, they developed a new material - unique strong and beautiful - called Solidwool™. 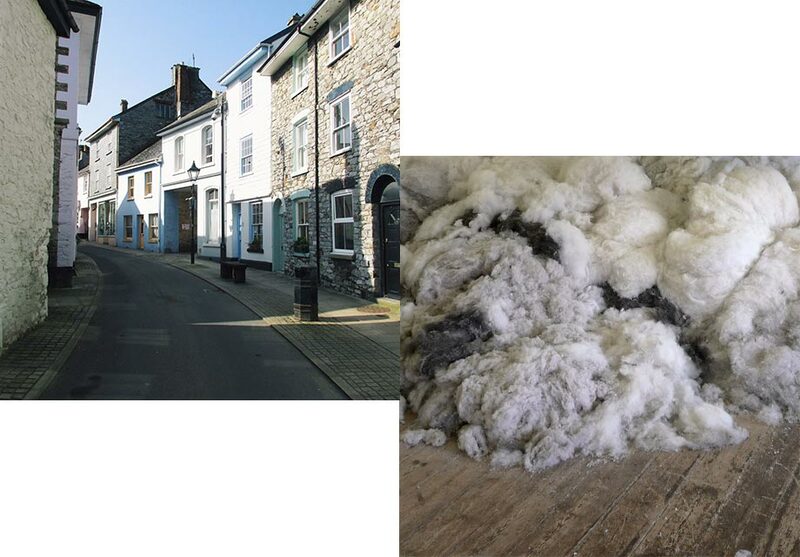 This strong, yet sustainable, composite material uses fleece from upland UK sheep. Think fiberglass, but with wool. Solidwool is made up of a number of stories. Stories of blending and sustainability, design and reinvention.Blending wool and bio-resin, both the traditional and the modern. Wool as a sustainable resource; for as long as there is grass to feed on, the sheep will produce a yearly fleece. Hannah & Justin are inspired by manufacturing. They seek to create beautiful products and give new life to their town. They believe that manufacturing gives towns an identity. It provides jobs and community. We are proud to work with Solidwool™ to bring their story to your home. We are grateful to offer products with materials whose stories matter.